Slush Floor Mats for the Jeep Wrangler are molded in color and feature deep ribs to trap and hold water, snow and mud to protect your carpet and keep it clean. A must during inclement weather, Slush Mats work great in all seasons. 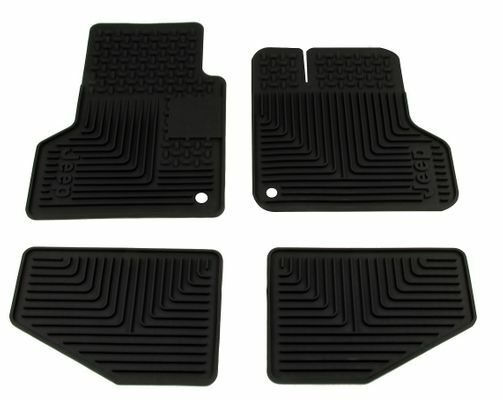 Complete set of 4 (2 Front, 2 Rear), with Jeep logo. They look great. Fit well especially the back floor mats. I love the look too! ProsThe back floor mats fit perfectly. Both pair look awesome and do what they are intended to do. Great price. I couldn't find them anywhere local so kudos to Justforjeeps. ConsThe front mats could be a little longer towards the seats. Otherwise fit great from side to side and my feet do land on them but it would be nice if they were a tad longer to catch some normal debris. Great Mat, what is up with the hole? Mats fit well and look nice, but what is up with the hole for the carpet hook? The hole is 1" large and does not hold the mat in place. 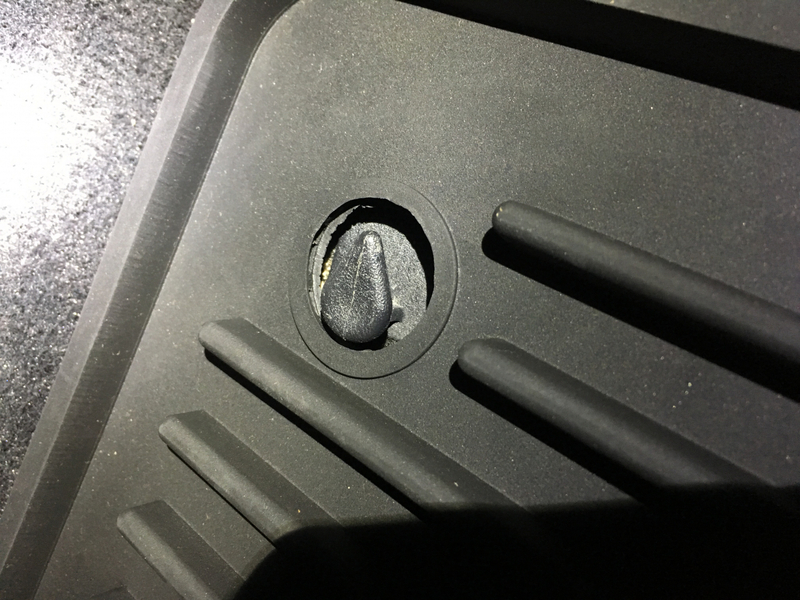 ConsLarge hole does not fit the retaining hook that is in my 2004 Wrangler Sport. I would not recommend these unless they fix the hole issue. Very good product and service. Easy to order on website. They feel heavy duty. Cut from the factory for an exact fit for the TJ. I have confidence that they will hold any sludge or liquid from spilling further onto any carpeted area.